use specific historical events as their framework; both are passionate love stories dealing with loss and grief; both contain deathbed confessions between mothers and daughters; and both would make great book club choices, especially multi-generational discussions. Oh, did I mention murder and unfaithfulness? Sure to spice up any discussion. 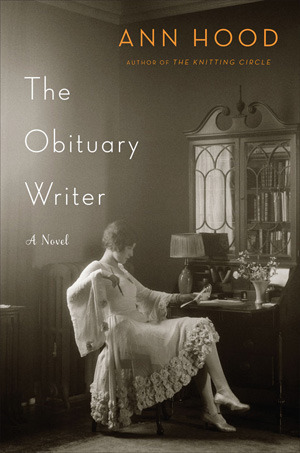 In the Obituary Writer, the narrator is twenty- three-year-old Vivian, telling her story in 1919 after she survived the Great San Francisco Earthquake. She kisses her lover David good-bye as he leaves for work on the morning of April 18, 1906 at 5:00 A.M. Twelve minutes later, her world is turned upside down in two ways. Not only does the city crumble; it sends Vivian on a thirteen-year quest for David, who she wholeheartedly believes survived the earthquake and is wandering around with amnesia from an injury, possibly a blow to the head. During these years, she discovers she has a gift for writing obituaries that capture the true essence of a person beyond their vital statistics. 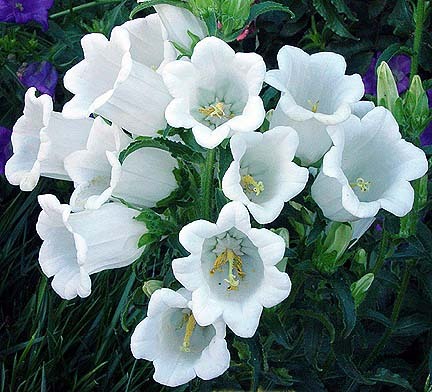 She is sought out by many who come to her in their grief to pay tribute to their loved ones. Perhaps it is her own sense of loss that allows her to be so compassionate and empathetic. The alternating story chapters in Obituary takes place 2000 miles away in Virginia and forty-two years later, 1961. The narrator is Claire, early twenties, married to Peter, one of the few civilians working at the Pentagon. Kennedy has just been elected president and author Hood so effectively portrays the hopeful tone of the country and the fervor caused by America’s infatuation with Jackie. In suburbia, Claire’s friends are hosting inauguration day parties with contests like who can choose the color Jackie will wear at the inauguration ceremony. One review says the author dropped a few too many product names in her effort to re-create the 60’s, but having been Claire’s age myself at that time I found it authentic and pleasantly reminiscent. For younger readers, I think it gives an accurate picture of the times. But more importantly, this novel deals with the barriers women faced in the early 1900’s as well as the 60’s. Both periods are on the brink of great changes for women and the country. As Claire’s story opens, she too experiences a seismic shift in her life when the kidnapping of a young boy in their upscale “protected” neighborhood causes something in her to snap. She succumbs to an affair, jeopardizing her marriage to Peter and supposedly “perfect” life with their three -year old daughter. The alternating chapters flow easily with two very different yet believable and sympathetic characters, both searching for love and meaning in their lives. Although years and miles apart, their stories bind and unite them in an unusual twist. No plot spoilers here, of course, but I will say that one of the reasons I recommend this as a book discussion is because I think the author leaves the ending open to the reader’s interpretation. An extra bonus are quotes from Emily Post’s Etiquette as chapter markings on how to soothe the life of a grieving person. The Secret Keeper by Kate Norton also has dual narrators. The first is Laurel, age sixty-six, a successful and well-regarded actress in London in the year 2011. When she visits her dying mother, Dorothy, to celebrate her 90th birthday, a childhood memory is invoked by unusual remarks her mother makes in her dementia state. She is also clutching an old Peter Pan playbook with an inscription from a friend and a childhood photo of two girls Laurel has never seen before. Laurel becomes obsessed with discovering her mother’s life before she became the mother of five children with a bucolic existence in the English countryside...and with uncovering the real story behind a disturbing memory her parents asked her to keep secret from her siblings. Laurel, at age sixteen in 1961, witnessed a shocking event from her perch in their garden tree house while the rest of the family gathered for a picnic birthday celebration at the nearby pond. Mother returns to the house, carrying Laurel’s baby brother, to retrieve the special knife decorated with a red bow, used specifically for the cutting of the birthday cake. This day however, her mother, knife in hand, brutally kills a man who appears on their front porch. Laurel is the only witness to the murder which the authorities conclude was self-defense as there had been a wanted pervert reported in the area in recent months. The parents convince Laurel that it is best not to discuss this with her younger siblings and the event is never mentioned again. Laurel told the police what she saw, but it is years later that she recalls she left out one important thing she heard. The intruder called her mother by name as though he knew her well. The alternating story in this event is mother Dorothy’s and the WWII years during the London Blitz. Through these flashbacks, amidst the bombings and escapes to air-raid shelters, we learn of Dorothy’s friendship with Vivian, her love affair with Jimmy, and a wicked blackmail plot that goes terribly wrong. Norton’s characters are fascinating and her plot line so engrossing, we find ourselves totally immersed in that time period yet easily shifting to Laurel’s present-day personal investigation, trying to piece little clues together. There is no shortage of twists and suspense, bringing us to a culmination of Dorothy’s story and Laurel’s search. So there you have it. Two books, four main characters in four different time periods, I think they represent historical fiction at its best—vivid portrayals of the times told through riveting personal stories. Final ironic trivia--both books have a main character named Vivian and both stories have mothers celebrating a significant birthday (one 80, one 90) which serves as the catalyst for the unraveling of their past lives. 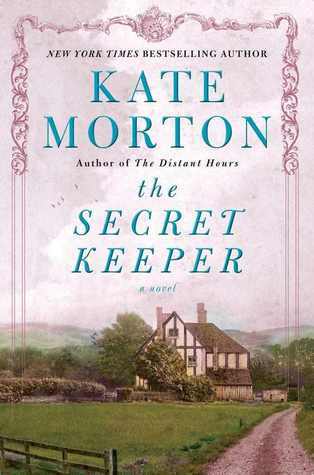 This is Kate Norton’s 4th novel and Ann Hood has been writing short stories and novels since the late 80’s. If these two books are any indication, I am looking forward to some good reading, catching up with their earlier writings. A wonderful recipe for Beef Bourguignon. Some things take a lot of time and effort....but are so worth it. Here I am channeling JuliaChild from Mastering the Art of French Cooking...not sure I mastered it, but it was delicious. So full of robust flavor. And makes such a large portion that easily serves 8-10. Some things are just worth it. Bon Appetit! In deep Dutch oven or very large sauce pan, saute the bacon in oil over medium heat till lightly brown. (Do not want to burn the oil as we will use it again for carrot and onion)Remove bacon to a side dish with a slotted spoon. Next is browning the meat in the oil leftover from bacon. The bacon should have left some additional oil in pan. Dry the meat between paper towels first. It will not brown if it is damp or moist on outside. Also, brown it in several bathes –not all at once. You don’t want the meat to be touching each other in the pan. Remove beef with slotted spoon and add to bacon. To the same fat, add the carrot and onion. When they are browned slightly, discard the fat. Now return the beef and bacon to pan with onion and carrot and toss with salt and pepper to taste. Then sprinkle on the flour and toss and coat the beef lightly. Set casserole uncovered in middle position of preheated oven for 4 minutes. Toss the meat and return to the oven for 4 minutes. Bring to simmer on top of stove and then place in 325 degree oven for 3 hours. While the beef is cooking, prepare the onions and mushrooms and set them aside. When casserole is done, remove from oven and stir in mushrooms and onions. Put back in oven for about 20 minutes at a low temperature. Can be served over noodles or rice....or just plan as a stew with crusty bread. You can make this all ahead and refrigerate until needed. Reheat slowly in the oven. It seems to improve with a little age so it’s perfectly okay to make a few days ahead. As you can see, it is a lot of preparation but so worth it. This recipe serves about 8 quite generously. Could possibly serve 10 if smaller portions. Enjoy..and please call if you have any questions.